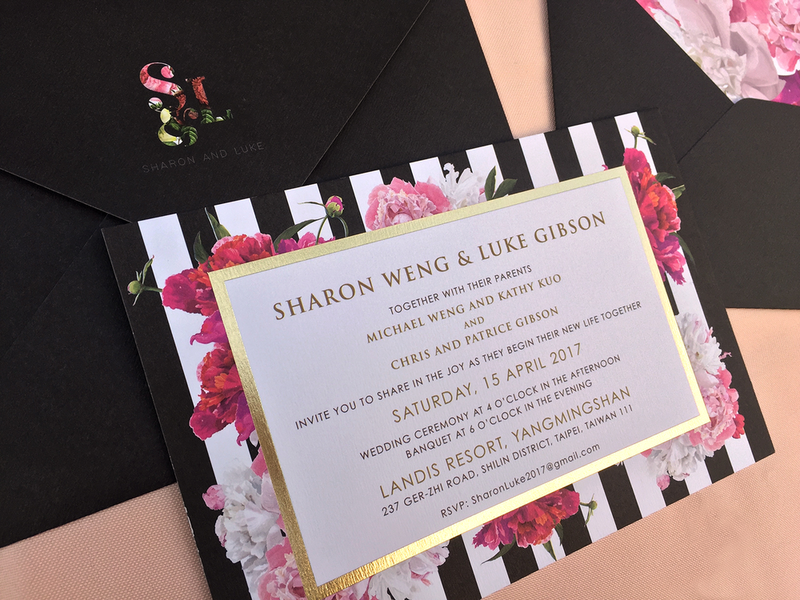 A brides hoped for a design that combined modern with classic as well as femininity with a touch masculinity, I truly believe this invitation suite hit the mark and drop a blossom blast to the guest! Gorgeous floral accents in shades of fuchsia and blush pink, modern monogram and a dash of gold bling. The 3D visual effect of the envelope lining brings the floral comes to life!